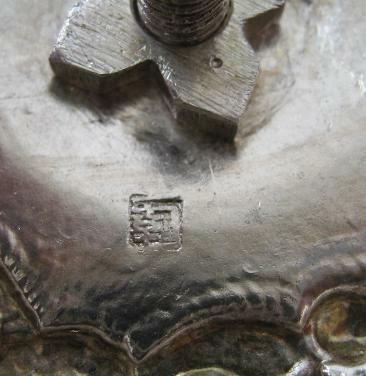 This sprinkler is of Chinese workmanship – there are two sets of indistinct Chinese marks to the base. The decoration is more restrained than in more typically Chinese pieces and more Islamic, suggesting that the sprinkler was made for the Islamic markets of Turkey or northern India. Overall, this is a finely executed sprinkler with noble proportions. 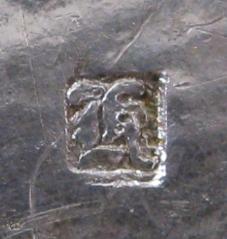 Shop/Maker’s marks to the underside of the foot.